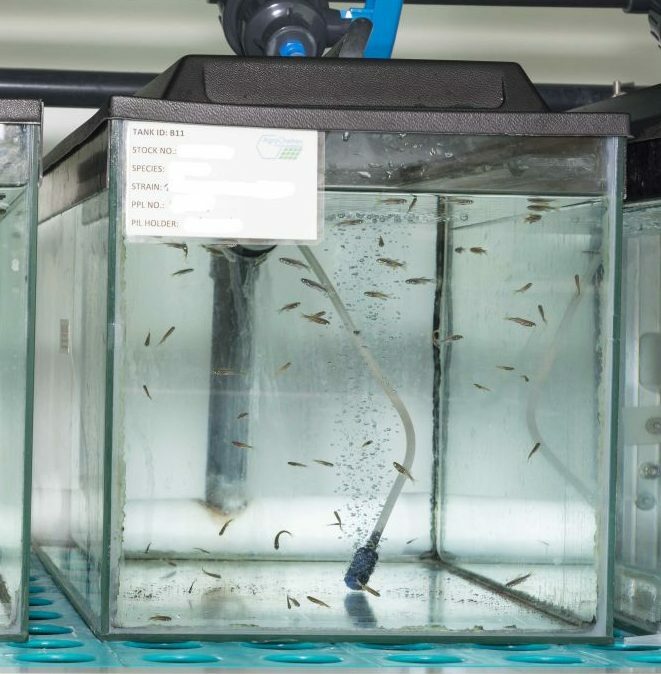 A suite of aquaria designed to meet quarantine, husbandry and study needs are installed within AgroChemex Environmental’s ecotoxicology facility. The facility is compliant with GLP and is designated by the UK Home Office for the conduct of regulated procedures. Flexible bespoke designed systems allow studies to be conducted in line with the requirements of a wide range of regulatory studies. Systems can be run in a static, semi-static or flow-through format with tank sizes ranging from small beakers to large 50 litre vessels. The natural water source on site provides water of the required quality to each of the aquaria. The controlled environment rooms housing the systems are able to be tuned to meet the environmental conditions for the study in terms of temperature, lighting and photoperiod. Studies can be conducted to assess the acute toxic effect a chemical has on fish. Fish are exposed to range of concentrations of the test substance for 96 hours. Fish are held in the laboratory to acclimatise and ensure good health for a period prior to the test. They are held in water of the quality to be used in the test for at least seven days immediately before use. The fish then move from the acclimation tanks to the exposure tanks and are exposed to the test item for 96 hours. Measurements of dissolved oxygen, pH and temperature are conducted periodically throughout the study. Mortalities and observations are recorded throughout the study. Any unusual behaviour, signs of disease or stress, such as abnormal swimming behaviour, altered pigmentation or respiratory dysfunction are also noted. From these assessments the LC50 can be determined using a regression model. A range of studies can be designed in accordance with OECD and EPA guidance to assess the chronic effect a chemical has on fish. Early life stage and juvenile growth studies can be conducted to gain information regarding the growth and development effects. These involve exposing either newly fertilised embryos or young fry to the chemical in water continuously. 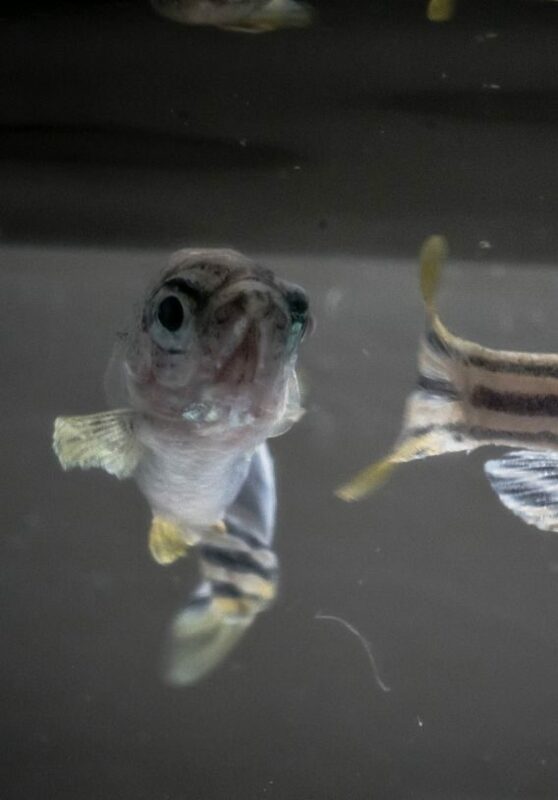 Reproductive characteristics can be assessed by exposing sexually mature male and female fish together, to a chemical. Alternatively newly fertilised embryos are exposed continuously to the point of sexual maturation. At the end of the exposure period, biomarker endpoints are measured in males and females, as indicators of endocrine activity of the test chemical; e.g. vitellogenin and secondary sexual characteristics. A fish, full life cycle test can be designed in accordance with current regulatory advice and position papers to meet the customers’ requirements. This is a bespoke designed higher tier study, evaluating the effect on both the development and growth, alongside the sexual characteristics and reproductive capacity of the chosen fish species.